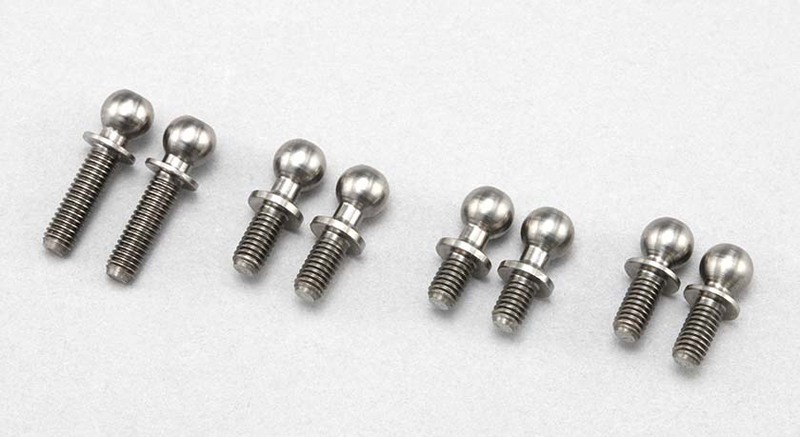 Ultra-lightweight, high-precision titanium rod end balls for BD9 series platform! In addition to the S size (11.5 mm) and M size (13.0 mm) used for the upper arm and tie rod, a short neck type (11.5 mm) and a kingpin ball used on the top of the steering hub carrier are also available now. The ball part are Φ4.8 mm for all, and with the high precision surface finish provides super smooth operation. The weight reduction at the top of the chassis is also highly effective in improving driving performance, and is the ultimate item that contributes to lap time.